By the time you reach your 50s, you’re a force to be reckoned with. You know your mind, you’ve figured out what works for you, and it’s finally time to put yourself first — whether that means focusing on your career, your hobbies, or learning something entirely new. Here are a few tips on how to own your style and dress for the fun events, weddings, and weekends ahead. While shades of grey can come across as matronly, bright and bold color will rev up your look and perk up your skin tone. Even better if you can play it off your signature shade of red lipstick (a must for women in their 50s). Experiment with non-classic hues like turquoise, burnt orange, and salmon for a modern, sophisticated edge. Swap the deep plunge in favor of a universally flattering boatneck. Your collarbone is a powerhouse feature worth showing off, and as an added bonus, this style has an elongating effect on the neck. A good rule of thumb is to play up places you dab perfume, like your wrists, forearms, and collar. Go ahead and splurge on your dream knits and sweaters. You’ve earned it. We’re talking silk, cashmere, and super soft cotton (preferably with a little stretch). Start working synthetics out of rotation and opt for fewer, more luxurious basics to elevate your everyday look. As with anything that fits perfectly, if you love it, buy it in a few different colors. Slightly shorter tops that hit between the waist and top of your hip can create a slimming silhouette that showcases your natural curve. If your midsection isn’t your favorite, choose a higher rise pant to smooth and lengthen. We’ve said it before, and we’ll say it again: Nothing beats great tailoring. The difference between sophisticated and sloppy is all about the fit. 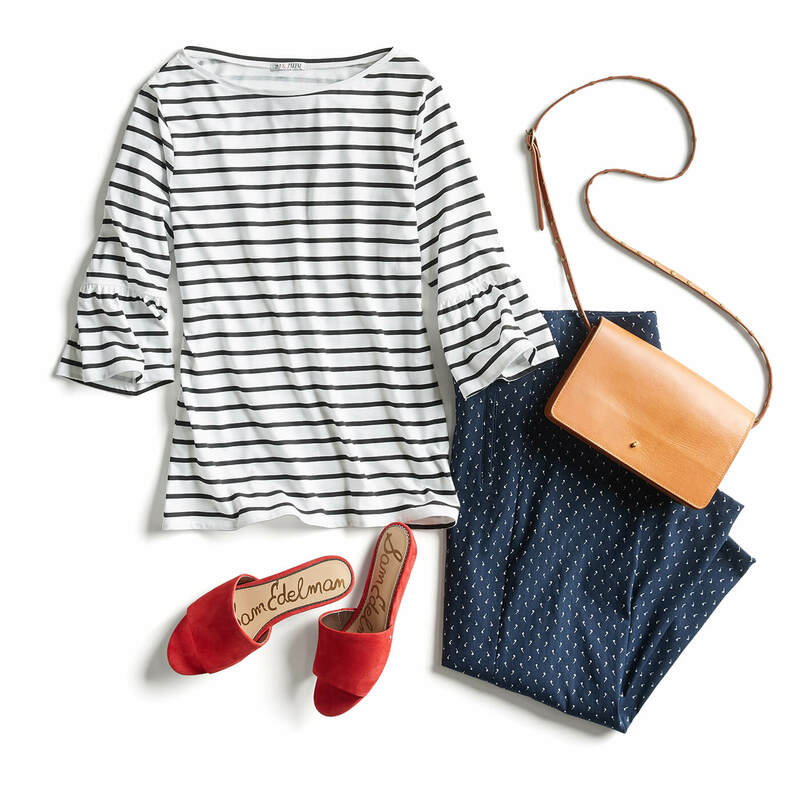 Choose items with some structure over loose-fitting, baggy, or overly breezy styles. Fitted tops, ankle-fit trousers, and a great blazer should hang in every 50-something’s closet. Investing in a few key pieces will extend your wardrobe and help define your iconic personal style. For women in their 50s, it’s all about subtlety and strength — choosing where to draw the eye, and when to demand attention. A power decade deserves a power color. Find the right hue for your skin tone and time of year, and have some fun. A small accessory like a neck sash can be a fun way to punch up your look. Or, go bold with a red coat or dress for maximum impact. Think of this as a gift to yourself. Whether it’s an oversized, chunky turquoise ring or a showstopping cocktail cluster, whatever you choose should make you feel fabulous and special. Dressed up, a statement ring is a conversation piece. Dressed down, it’s a great way to add some glam to a classic everyday look. By this point, you may want to lower the heel height some, but this is no time to phone in the footwear. In fact, your shoes may just become the starting point for your outfit. Dressy boots, a brightly colored pump, or even some designer flats can do wonders for an otherwise forgettable look. As the old saying goes, you don’t get points for suffering. Looking great doesn’t have to be uncomfortable, even when you’re dressed to the nines. Choose soft fabrics with stretch, waistlines with give, and silhouettes made to move. Over the years, you’ve explored plenty of trends and no doubt purchased some one-time-only dresses for special occasions. 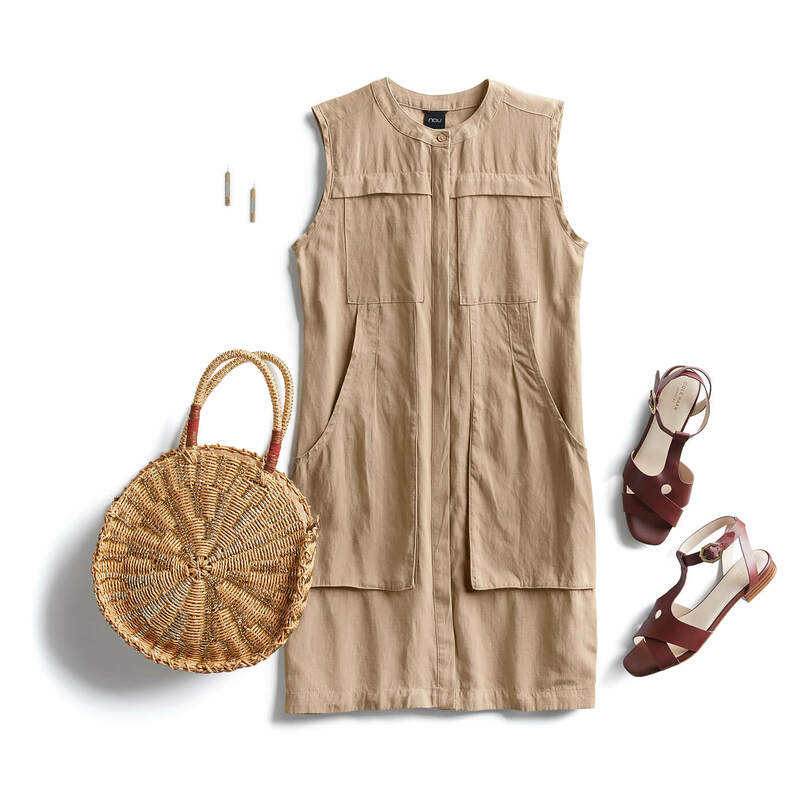 In your 50s, make sure you have at least one trusty go-anywhere, do-anything dress that fits like a dream. With a busy social calendar of weddings, family celebrations, and special dates, it’s worth investing in a dress (or three) that you love. As we embrace the now and what’s next, there just isn’t room for some of the styles of yesteryear. Here are a few items that are taking up too much space in your closet, and not serving you well. Hippie skirts: Long, flowing, bohemian-style skirts don’t carry the sophistication that your 50’s deserve. And worse, they can even add pounds. Oversized everything: If it’s baggy, put it in a bag and donate it. Good tailoring and high-quality fabrics will do more to hide trouble zones than any oversized sweater can. Distressing: Wearing denim that’s intentionally treated to look old isn’t going to make you look any younger. Embrace dark rinse denim in crisp, new condition. Sparkle: In your 50s, embrace shimmer and subtle embellishments over loud-and-proud sequins. 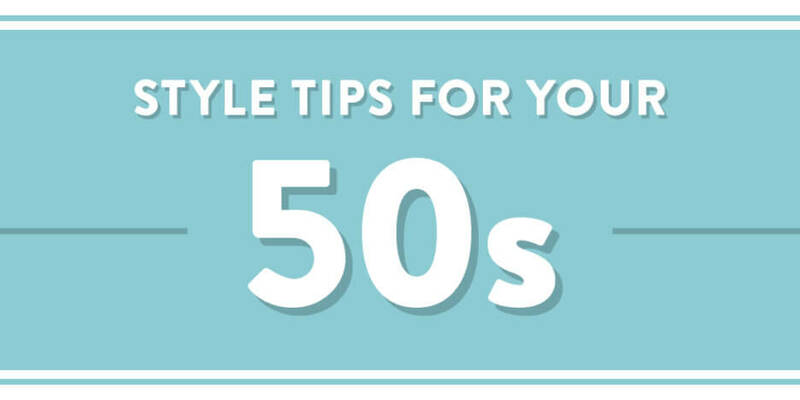 Have style tips of your own for dressing in your 50s? Tell us and your fellow style lovers in the comments below!